This is a sponsored post. 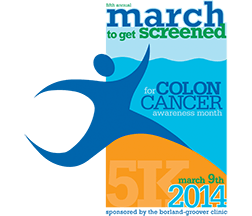 I received two complimentary registrations to the March To Get Screened 5K walk/run for my own use as well as two to give away to readers as compensation for helping to promote the event. All opinions are my own. I got home from the Neon Vibe at about 10:30 PM (after a quick stop at Taco Bell, because I was ravenous and, well, nothing else is open at 10:00 at night). I bolted my food, showered, and hopped in bed. It was Daylight Savings Time, so we would be losing an hour, and I had to up at 5:45 to get ready so I could pick up my mom and head over to March To Get Screened. I had already laid out my race bag and outfit. Since this was a smaller event, packet pick up was going to be onsite. It was pitch black when I left the house, and the sun still hadn’t made an appearance by the time I had collected my mom. We were making great time so I stopped for a quick bagel and iced coffee and to fill up the gas tank. 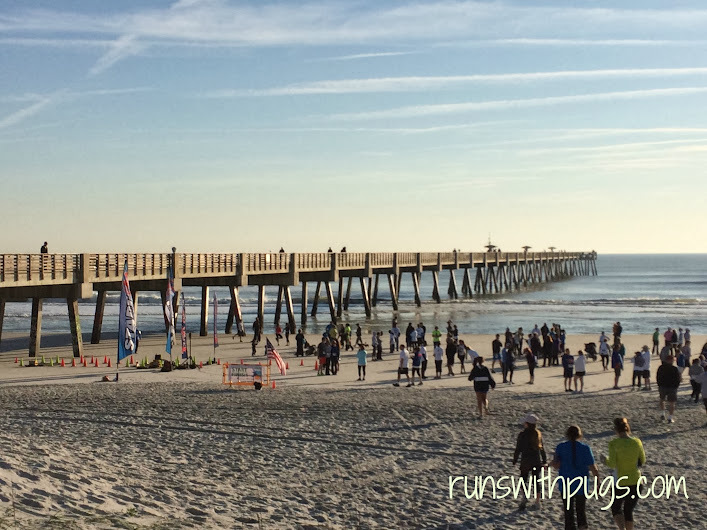 And then, we were heading east to the race start at the Jacksonville Beach Fishing Pier, into the beautiful sunrise. The day was glorious. It was so good to see the sun after what seemed like weeks of overcast, rainy dreariness. A blue balloon arch was set up near the walkway to the beach and the small collection of registration and sponsor tables. We met up with some friends and checked in. Our names were already on a list with our bib numbers, so we collected our bibs from one table, and then got our timing chips, bags and t-shirts at the tables nearby. We listened to the beautiful speech from March To Get Screened founder and colon cancer survivor Jan Pratt. She spoke about colon cancer being the number two cause of cancer-related deaths in the United States and emphasized the importance of getting screened, especially after the age of 50 or if there is a family history of colon cancer and issues. At about 8:40, we started making our way over to the beach. This was going to be my mom’s first organized run/walk event and I was so glad to be able to share it with her. Due to my foot, I promised her that we would be walking (especially since the entire course was on the beach). She loves walking (and the beach), so it was perfect. I situated us in the middle of the pack, between the runners and the walkers. It was a great location and we were able to start comfortably between the two when the gun sounded. The course was a very straightforward out and back on the packed sand of the beach. There was one small section where the tide had made the ground a little soupy, but other than that, we were in great shape. In fact, the biggest challenge was the shells. My mother is an avid seashell collector, and she absolutely hated having to briskly walk past the bounty the waves were washing up on the shore. I had to promise her a morning of dedicated collecting over spring break. There was one water stop at the turnaround, manned by wonderful volunteers, and then it was back to the finish line. 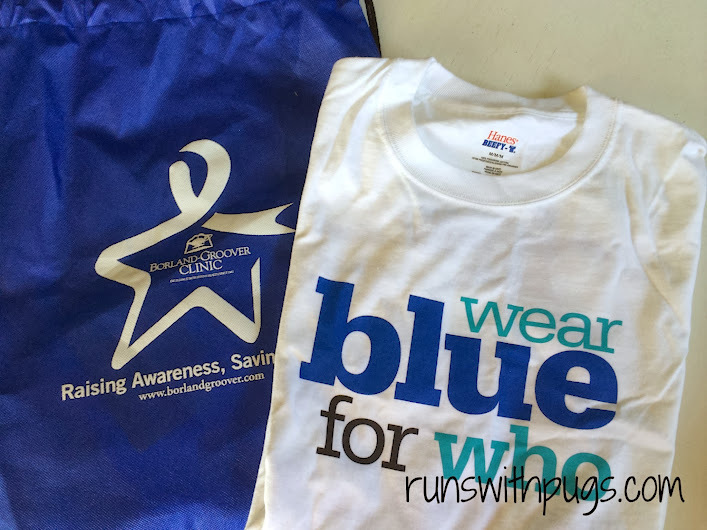 It was so nice seeing the beach so full of runners and walkers and the color blue. There was such a grew feeling of community and I loved that people were encouraging each other and offering high fives all along the route. We finished in about 50 minutes, which wasn’t bad for walking. I was a little disappointed not to be able to see what I could do on the nice, flat beach, but I was still trying to recover and it would have been foolish to push too hard. We said our goodbyes to remaining friends, and started back to the car. My mom had completed her very first 5K! Next time, I’m getting her in a matching tutu! As we were crossing back over the dunes, we were met by several women, who directed us to Lynch’s Irish Pub across the way. 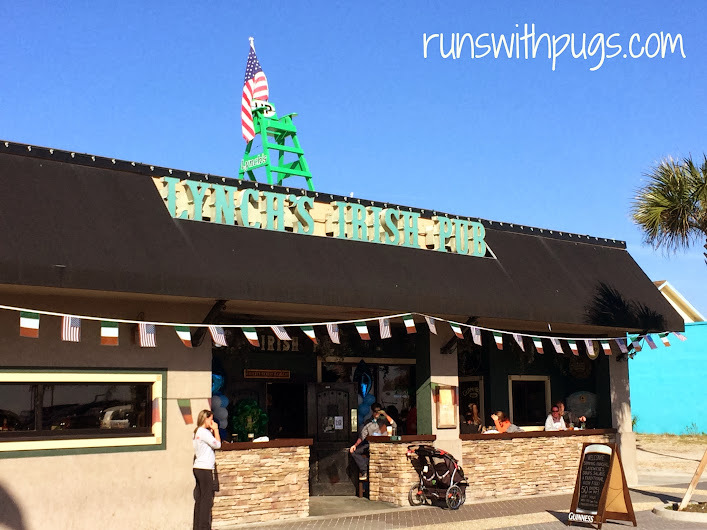 The pub was offering a free beer to the runners and walkers, as well as food and live music. The joint was already busy, and it would have been nice to enjoy what they had to offer, but we had a game to catch. March To Get Screened is definitely a great run to have on the calendar. It was more intimate than a lot of other races I’ve done, but everyone was so supportive and friendly and the feeling of togetherness was great. The course was breathtaking (you can’t go wrong with a sun-soaked beach in March), and the cause was important. I’m so glad I got to be a part of it this year, and it was even more special to be able to do it with my mom. I can’t wait to do it again. Do you prefer small races or larger ones? Do you ever race with family members? This looks like it was a beautiful race for a great cause. I’ve done so many large races I’m starting to add smaller, local races on my calendar and I love them. 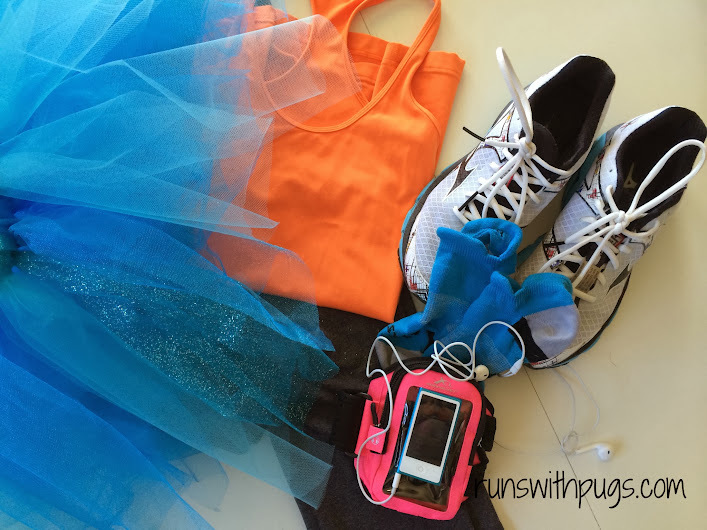 I have done a few 5ks with my family and it’s always more fun to have a partner! I like to mix it up. I love the big races, but the small ones are so great, too. Variety is the spice of life, though, so I think I’ll always do a mix. It was so nice! I hope we can do it again! Aw! Little man loves running! We need to get him in some more races soon! I may have found my calling! AAAHH LOVE your tu-tu!! You are rockin’ it girl!! I can’t decide on big or small races, I think I like SMALL 5K’s, but BIG half marathons and BIG 10k’s. The more runners around me during a long, tough race, the better! I think I agree with you. Today’s 15K was so crowded, but I knew that if I went down, there would be tons of people around to help.